"Small, large, beautiful, strong, each other... a kiss to you" We welcome everyone! Mangiacake's humorous name may be Italian slang, however don't let the name fool you. Featuring an easy-going love of food for all its patrons, this Italian-style catering company with our signature panini being the best that Toronto has to offer. Come in discover our delectable desserts while enjoying the summer on our serene backyard patio. 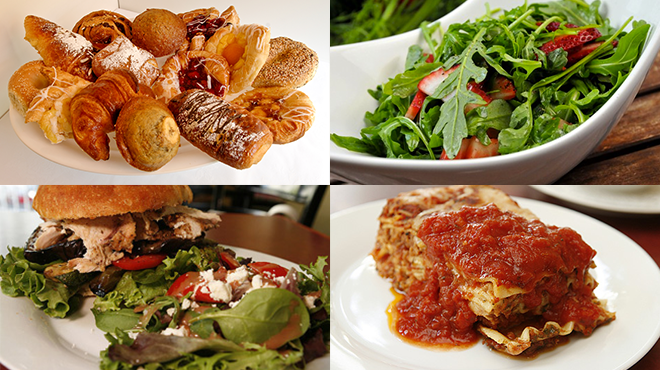 Mangiacake Catering offers a full range of event planning & catering services for all business & personal occasions. We deliver exceptional quality, professional service & a perfect menu along with a dedicated team attending to your every need, while helping you make your next event a memorable one.